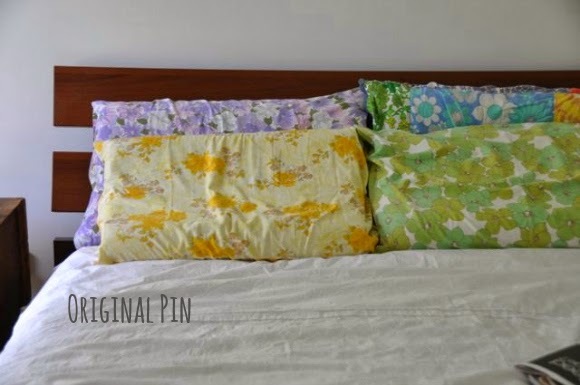 http://www.pinterest.com/pin/44262008807784286/I HAVE been scouring the op shops for a vintage single bed cover that's 'just so'. I have a vision and nothing will sway me from it. It's for a room filling up with sugar and spice and all things nice for the little visitors to our house. I haven't found the cover just yet, or the other linens of my imagining, but I know they're out there. In the meantime, I am collecting a rather lovely stash of vintage pillow slips. Make some time to scour your local op shops. You might want to take an op shopping buddy and make a morning of it. Head to the linens section and rummage. 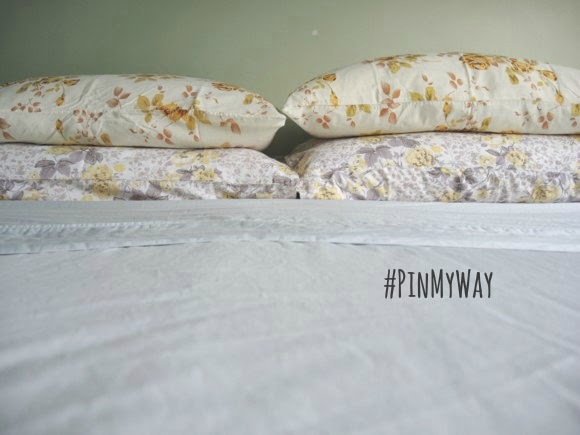 You'll often find single pillow slips so decide whether you're fussy about not having a matching pair. Pop your finds into your basket and head to the counter knowing you've got a lovely new pillow slip and you're helping a worthy cause (most op shops fund social services). Take your slips or linen home, fill a bucket with warm water, add a lid of Napisan and a splash of household bleach and leave to soak overnight. Rinse and wash on a normal cycle. 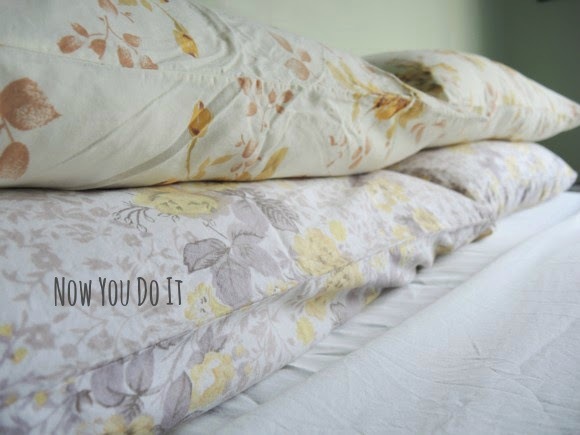 Hang to dry, admire on the line, bring in and pull onto your pillow ready for a pretty night's sleep.